Designed for first-time drone pilots, the Ehang Ghost drone is one of the easiest drones to fly. It’s a ready to fly, first-person view drone that doesn’t require any complex remote control systems. Available in a few models including the Ehang Ghost Aerial Plus which offers a gimbal and integrated camera, flying the Ehang Ghost drone is done using their smartphone app called “Ghost Drone” which is available on Google Play and on the Apple’s ITunes Store. The app has a few cool features for the first-time pilot, such as Auto Mode which allows one click flight control and it also has an auto-follow mode. The Ehang Ghost is pricing ranges from $599 to $799. 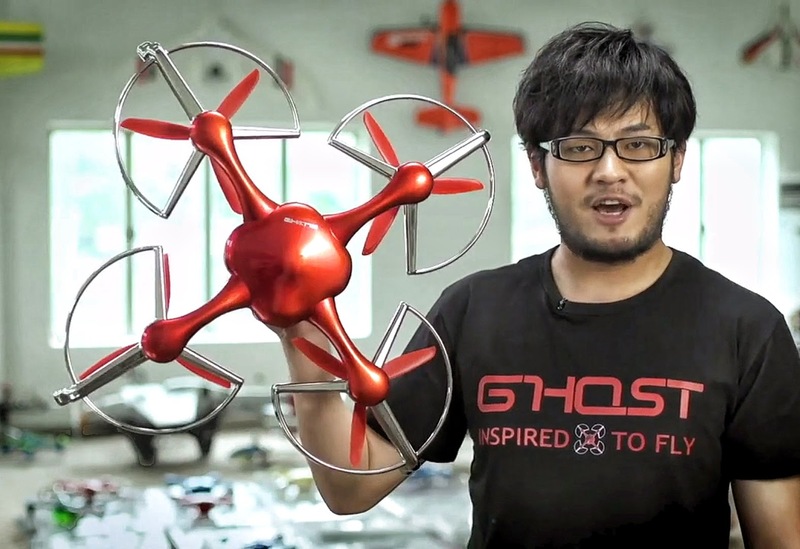 Ehang Ghost is an IndieGoGo project. Ghost Drone: Aerial filming has never been easier! While drones like the Ehang Ghost are great for first-time pilots, I always encourage drone enthusiasts to consider drone pilot courses.